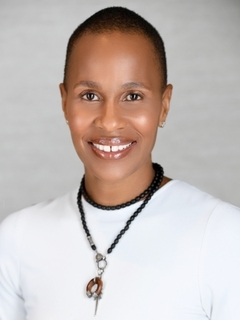 Jeanine D. Liburd is the Chief Marketing & Communications Officer for BET Networks, a unit of Viacom Inc. (NASDAQ: VIA, VIAB) and the leading provider of quality entertainment for the African-American audience and consumers of Black culture globally. In her role, Liburd oversees all facets of strategic and creative brand development, consumer marketing, corporate communications, corporate social responsibility and a variety of cross-business initiatives. Her deep consumer insights coupled with her innovative marketing strategies have resulted in deeper consumer engagement and consistent ratings growth for five consecutive quarters. Liburd joined BET Networks in 2007 as Senior Vice President of Corporate Communications after working with various divisions under the Viacom banner since 2000. She was Senior Vice President of Corporate Communications for Viacom, where she oversaw all media relations initiatives and corporate messages for the company’s business units, including MTV Networks, BET Networks and Paramount Pictures. Prior to that, she was Vice President of Corporate Communications for MTV Networks.